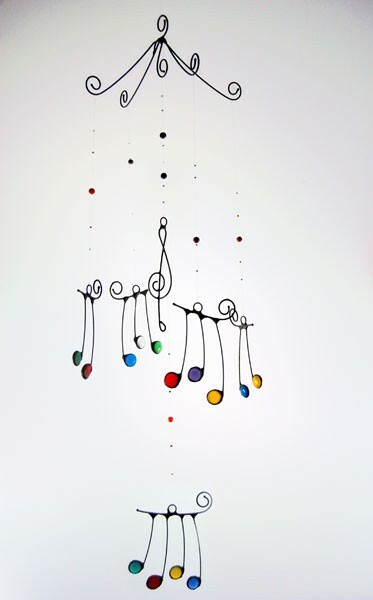 Decorative mobile with four-armed metal support and intermediate holding that suspends 6 musical notes. Made of wire with a tin bath and an oxidation process that gives it a forged look. 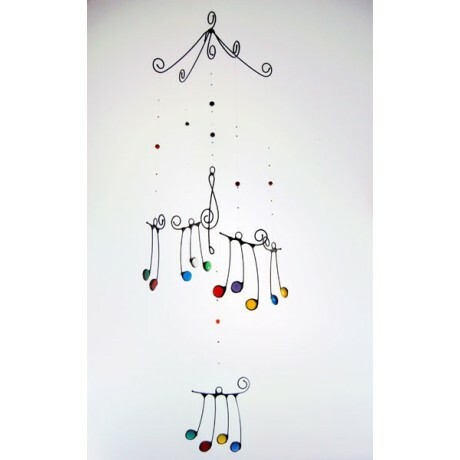 The notes have glass pearls in assorted colours made with the fusing technique in a kiln at 740º C.
Price 63,40 € tax incl.